The biggest advantage of the Internet is that information can be spread quickly all over the world. People have the freedom to post all sorts of information online. In this way, nothing can be hidden. For example, if the TV news reports present the untruthful reality, you can always search for the right facts online. However, the freedom to post information online does not mean that people will post only facts. It is quite the opposite, many people opt to post fake news. They use bombastic headlines to attract readers and thus spread misleading information. Unfortunately, this is an ongoing trend on the Internet. 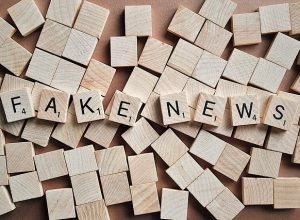 In order to stop or decrease the amount of fake news, major tech companies such as Facebook, Twitter or Microsoft have started their fight against them. In this article, we will present to you some efficient ways these companies use to fight against misleading information that may be found online. Microsoft is a famous tech company which decided to turn to the oldest way to fight against fake news – humans. The company got sick and tired of disinformation and hoaxes, so they decided to manually check all the news and facts before posting them on their MSN portal. Microsoft relies on a team of 800 people whose task is to check the news and facts posted by over 4500 publishers all over the world. It seems like a very demanding job, but it is the only way to make a distinction between what is false and what is true. The software is not able to make this sort of distinction. For now, it seems they are doing a good job. People believe that platforms such as Facebook or Twitter are responsible for the increasing amount of fake news. There are many people who own a Facebook profile. The options the platform has makes it easy for people to share all sorts of information. Facebook created an option to report misleading information. For example, if you see that somebody posted something which is not true, you can report it. You have a report button to click on it, and you need to specify your reasons for reporting the post. However, this was not enough. For that reason, Facebook launched a data-sharing partnership with academics to check the content that is posted. People do not have high hopes in the success of Facebook fighting fake news and information because there are many people who post and share information on the platform. We are left to hope that the fight will be successful and that misleading information and hoaxes will be decreased or prevented. Twitter is blamed by people for the fast spreading of misleading information. For that reason, Twitter decided to suspend many accounts which are fake or which spread fake news and misleading information. In two months, Twitter suspended around 70 million accounts. This does not mean that the spreading of fake news will be stopped, but it can be decreased.